September, 3 2018 (Tony Cartalucci - NEO) - The Washington Post has now repeatedly used its platform to systematically cover up extensive US political interference across Southeast Asia. 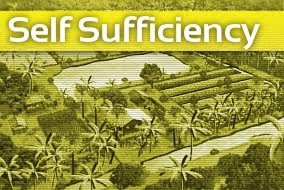 Last month, the Washington Post attempted to deny US interference in Cambodia. Its article - however - did more to reveal US meddling in the process - exclusively citing opposition organizations and individuals either funded by Washington or literally living in Washington. The Washington Post in its more recent article titled, "In Malaysia, a victory for democracy — and an opportunity for the U.S.," would likewise attempt to paper-over US meddling in Malaysia's recent general elections which placed US-backed opposition into power after decades of Washington investment. While Washington wasn’t looking, democracy won a major battle over authoritarianism in Malaysia, a Muslim-majority nation that just voted out its crooked, illiberal leader and has embarked on a peaceful transition to a new era of hope. The unexpected change has given the Trump administration a chance to reverse a policy of benign neglect toward the region, support democracy — and gain a rare win over China. The United States had little to do with last month’s overwhelming election victory by a multiracial, multiparty opposition coalition in Malaysia. Of course - this is categorically untrue. 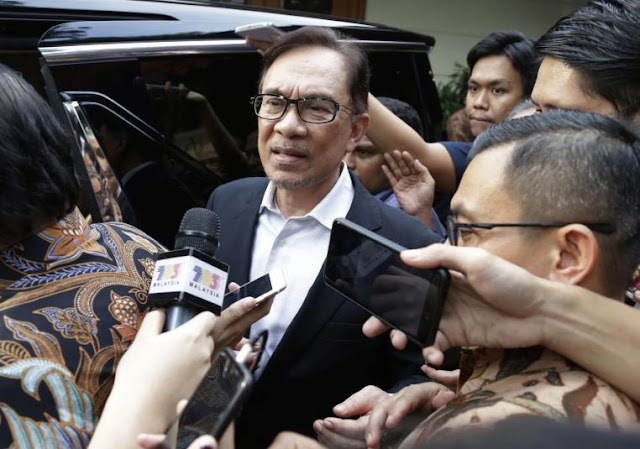 Virtually every aspect of Malaysia's opposition, from pro-opposition media organizations like Malaysiakini, to street fronts like Bersih, to legal organizations like "Lawyers for Liberty," and even the defacto opposition party leader himself - Anwar Ibrahim (PDF) - are recipients of extensive US government support spanning well over a decade via the National Endowment for Democracy (NED) and its many subsidiaries and affiliates. [IRI] has worked to strengthen Malaysian opposition parties since 2002. For 1st time since 1957 they won &amp; are in power. Democrats around the world can play a long game confident that sooner or later, their time will come. 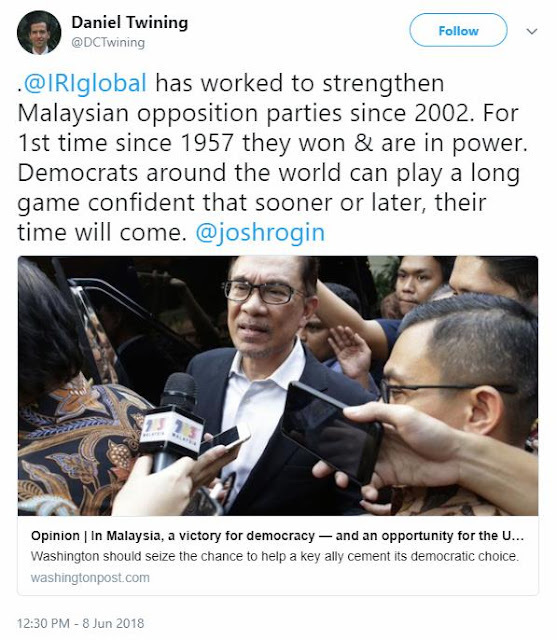 It is clear that evidence and even admissions by those dispersing US government money to Malaysia's opposition expose the Washington Post's article as categorically untrue - but it is also intentionally untrue. At least one member of the Washington Post's editorial board literally serves as member of the US NED's board of directors. 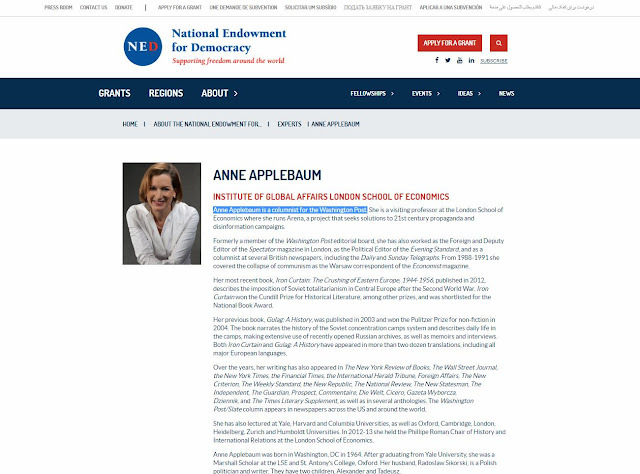 Washington Post editor Anne Applebaum even has her own webpage on NED's site. Thus, it is also clear that the Washington Post not only faces a serious conflict of interest regarding its responsibility to accurately report on political developments around the world while its editorial board is directly involved in influencing those developments - it is actively involved in exploiting these conflicting interests by using its media platform to cover up the actions of organizations its editorial board are involved in. And almost as if to contradict its own initial premise, the Washington Post article admits the US Department of Justice's primary role in opening and perpetuating investigations into the former government's finances - producing a scandal many have cited as at least partially responsible for aiding the US-backed opposition's victory. The U.S. government could help the new Malaysian government to dig out of the mess that Najib left by helping it reform civil society, return to a free press and bolster the country’s economy. The United States can also help recover the billions Najib’s clique plundered from Malaysian coffers. The U.S. Justice Department is already deep into its investigations of those scandals. Considering the extensive amount of backing the US government has provided the Malaysian opposition, it is difficult to imagine the US Department of Justice only coincidentally fixated on alleged financial impropriety in Malaysia, ahead of general elections the US government sought victory in for its proxies. The Washington Post also reveals the motives behind the extensive US political meddling it is attempting to conceal, mentioning China's growing regional influence throughout the article. There’s also a key opportunity for the United States to score a rare victory over China in Asia — one the Trump administration didn’t intentionally pursue. Mahathir has either paused or canceled several major Chinese-funded investment projects amid allegations of kickbacks to Najib and predatory deal terms. Beijing was heavily invested in Najib, and the Malaysian people resent it. Despite the Washington Post's attempts to conceal extensive US funding funneled into Malaysia's opposition spanning multiple US presidencies - specifically to transform the nation into an obedient client state vis-a-vis Beijing - is does admit the central issue driving US meddling across Southeast Asia. China was also mentioned by a previous Washington Post article attempting to conceal and dismiss accusations of similarly extensive meddling in Cambodia. Efforts to co-opt and compromise other nations in the region can be seen unfolding in Myanmar where ethnic conflicts are being cultivated and leveraged by Washington and London to divide the population and undermine stability, compromising a myriad of Chinese investments including major infrastructure projects. US-backed protests have attempted to gain momentum in neighboring Thailand - with a similar array of US-funded media groups, street demonstrators, and opposition leaders seeking to create momentum based on the victory of US-backed opposition in Malaysia. They seek to reinstall billionaire fugitive ex-prime minister Thaksin Shinawatra into power. Shinawatra had served US interests stretching back to before he became prime minister in 2001. His political survival has depended on extensive support through US-funded fronts operating in Thailand, and the unwavering support of the Western media. It is likely that the Washington Post will soon be writing articles to dismiss growing awareness and outrage over US meddling in Myanmar and Thailand as well - eager to head-off obvious claims of hypocrisy leveled against Washington as it baselessly accuses Russia of "influencing" its political affairs while openly installing entire governments into power around the globe.